I met Ellen at the wonderful New York Society Library last winter. Since 1990 she's lived in the garden world, working at a flower farm in Pennsylvania, authoring articles and 10 books for three publishers on gardening. But in 2010 she became enthralled with collage making, and has recently published Artful Collage fromFound Objects. But this presented a brand new challenge for Ellen: how to switch her niche? She drops by Blurb is a Verb to discuss a few of her solutions. –Sarah P.
The new book is a step-by-step craft book showing how to make 46 collages. 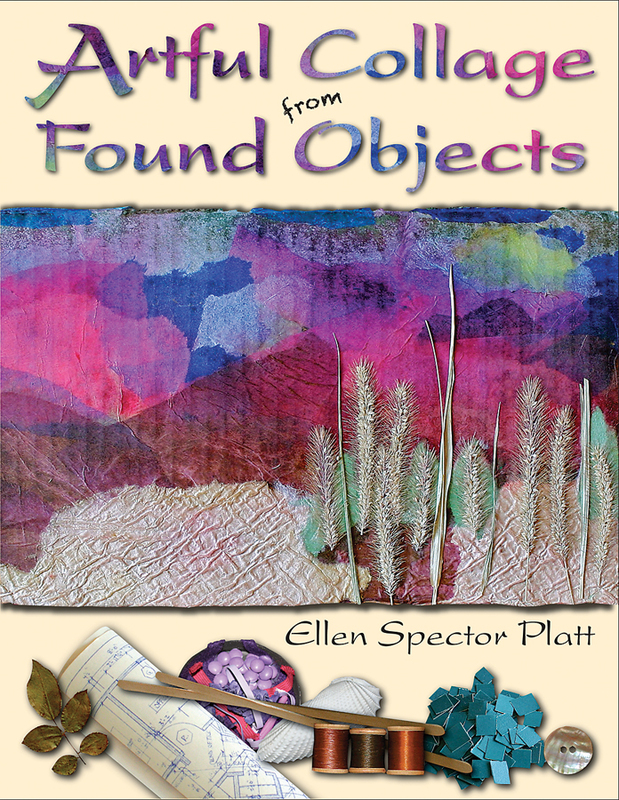 I know NO ONE in the craft world, yet my publisher wanted a ‘craft’ not a ‘flower’ book. Long an active member of the Garden Writers Association, even a Regional Director, all my professional friends, contacts, reviewers, and networking PR people are in the garden niche. Even as I was creating collages for the book, I recognized the disconnect because I’m very active in promoting my own books. Who could I possibly promote them to? Yes, yes I know, go online and join collage craft communities; I’m currently doing that, but I couldn’t bear to waste all of my previous efforts at building up relationships. Maybe it happened unconsciously, maybe it was deliberate but I added natural bits and pieces as I continued with the collages; a few pressed leaves here and there, twigs and pods I found on the streets of NYC where I live or in the roof garden I tend for my condo building. 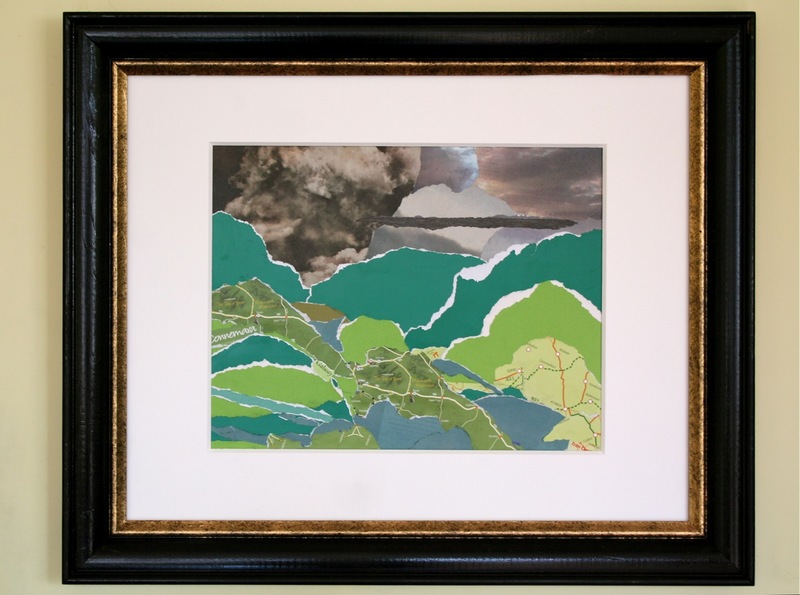 By the time I was ready to submit the manuscript, more than half of the 46 collages contained small bits from the natural world or themes form nature. Politicians always tweak events in their favor; I became an expert ‘tweaker’. The collage ‘My Ireland’, uses only papers I gathered there on vacation. All that rain, visible in the sky but so disconcerting to tourists, is necessary for the intensely green hills, a lesson I learned well as a flower & herb farmer. I tweak this into a garden collage with just a little relabeling. To my collage ‘Grandma’s Sewing Box’ using old materials I inherited from my Mother, I added one cotton boll which I grew in a container in my garden in Manhattan. Other garden writers are fascinated at the incongruity of growing cotton on a NYC rooftop; I love the juxtaposition of my Mother’s things with mine, my publisher doesn’t label this a garden collage because the cotton is such a miniscule part of the whole, so we’re all happy. As the annual Symposium of the Garden Writers Association approached, I signed up for an author’s book table in the trade show, as I’ve done with all my garden books. My publisher sent sample books. I displayed three collages (schlepped in my carry-on luggage, flying from NYC to Tucson AZ, with a change in Dallas, allowing a little room in my bag for clean underwear and T-shirts,) all with hints of a garden theme, along with the books and explained what I was doing, stressing all the found and recycled materials. True gardeners all compost their waste, so that theme was relevant as well. I earned two commitments for radio interviews, at least one newspaper column in a big city paper, one magazine review, one TV garden show with uplink to U-tube, and many more possibilities that I’m following up with, all these from garden writers for a craft book. So the tweaking worked. But I better start putting more time in making contacts in my new niche, craft writer. Could there be a National Association? Ellen Spector Platt blogs at Garden Bytes from the Big Apple.